Get the cheapest possible price on excellent Oyster Bay wines. 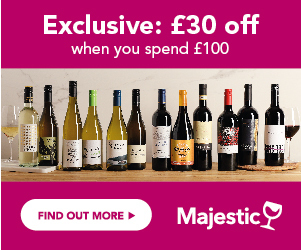 Find out about the newest offers and receive Price Alerts if your favourite bottle is on sale. Search for vouchers, awards and reviews to make the best purchase! Oyster Bay is one of the biggest success stories of the last 20 years, in the wine world. Created in 1991, it has swept to fame and helped drive the recent meteoric rise in popularity of New Zealand Sauvignon Blanc in the UK and around the world. From having a tiny section of the wine market less than 10 years ago, New Zealand now represents over 6% of all sales in the UK, and Oyster Bay, is not only the number 1 New Zealand wine brand, but is also in the top 20 biggest brands in the UK. On average, Wine drinkers are prepared to spend more money on New Zealand Sauvignon Blanc than on any other wine. Oyster Bay takes its name from a beautiful bay, Oyster Bay, at the tip of New Zealand’s South Island. In the early days of the wine industry development, the team behind Oyster Bay bought and planted premium vineyards, in the Wairau Valley, now viewed to be one of the top wine producing districts in New Zealand. This area is perfect for the production of Sauvignon Blanc. Oyster Bay also own vineyards in Hawkes Bay, on the warmer north island, where they are producing some rich, impressive reds, including Merlot. Today, the Oyster Bay vineyards are to be found in both the Wairau and the Awatere valleys of Marlborough, and the cool, maritime climate helps develop the aromatic, fresh, intense flavours of the brand’s Sauvignon Blanc, Chardonnay and Pinot Noir. Hawkes’ Bay is the second home, up in the warmer climes of the North Island and here Oyster Bay is now producing, richly scented, velvety smooth, ripe Merlot. Oyster Bay, along with many other New Zealand wineries, is totally committed to protecting the beautiful and natural environment, in which the vines are planted, and were a founding member of New Zealand’s sustainable wine growing project. Unlike many of the big brands, Oyster Bay has stayed very close to its roots, and has a small, clearly defined range of 6 products, from sparkling, to intensely flavoured white and ripe, silky reds. Oyster Bay focusses on making intensely flavoured, elegant wines, from the best of their vineyards, with the very best winemaking techniques. The range started with just 2 whites and 2 reds, and 2 fruity, dry sparkling wines have recently been added. It's easy to just think of Oyster Bay as Sauvignon Blanc, but the rest of the range is well worth exploring also. Oyster Bay Sauvignon Blanc is, of course, the star of the range with its intense, aromatic nose and crisp, elegant flavours, of tropical fruit and gooseberries. Whistle- clean, zesty and fragrant. Oyster Bay Chardonnay is a lovely example of fresh, citrussy, flavour-packed Chardonnay, with only a touch of oak. It’s lively, and crisply clean, with citrus, peach and pineapple flavours. Oyster Bay Pinot Noir is also produced in the Marlborough region, and offers delightfully silky, smooth, raspberry and plum flavours, with soft tannins, and a gentle, velvety flavour, great for those who don’t want a hefty style of red. Oyster Bay Merlot is from the warmer Hawkes Bay region in the north Island, and is packed with rich, juicy, plum, blackberry and spice character, with a heady edge of mocha. Oyster Bay Sparkling Cuvee Brut is made entirely from Chardonnay, one of the 3 grapes permitted in Champagne production. This is a delightful, smooth, rounded fizz, made in the same way as Champagne, except at the other end of the earth! Creamy, elegant, and with a lovely toasty edge. Oyster Bay Sparkling Cuvee Rose is a blend of Chardonnay and Pinot Noir, both grown in Marlborough, and a fantastic dry sparkling Rose, combining the fresh fruitiness of Chardonnay with the full on, rich, red berry fruit of Pinot Noir. Pinot Noir – silky, smooth, velvety and lighter in style than many reds, with a naturally sweet edge, Pinot Noir is the classic accompaniment to roast or pan fried duck, all types of game, and is also the best red to go with spicy dishes, such as sizzling Chinese beef, Indian curries, and Thai stir fries. Merlot – rich, soft, intense and ripe, this is a great food wine, and it’s just perfect with steak, roast beef, barbecues, and lamb braises, as well as being a great wine for cheese.